Our Founder and CEO Dr. Mhairi Towler has been an invited speaker at many high profile business events including a prestigious TEDMED talk and Creative Dundee's Pecha Kucha series (click the button below to hear her Pecha Kucha Talk). She also frequently gives careers advice and presentations at schools, colleges and universities. Book Mhairi for your event by e-mailing her mhairi@vivomotion.co.uk. 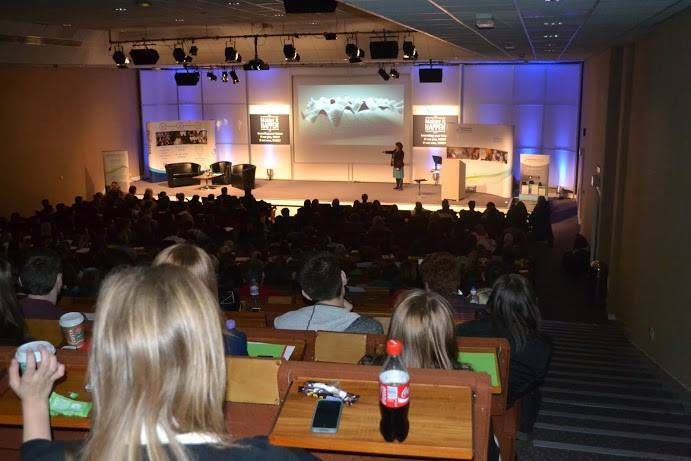 Over 500 people attended the "Making it HAPPEN" conference at Aberdeen exhibition centre, including school pupils, students and business people - Nov 2013. TEG talk at The University of Dundee - telling the Vivomotion story to students of The Enterprise Gym - Mar 2013.